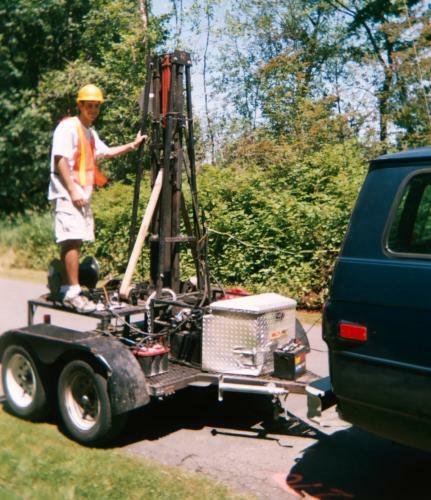 To develop a strong sense of community among the interns and provide an introduction to some of the most exciting aspects of modern seismology. New Mexico Institute of Mining and Technology (NMT) about 1.5 hours south of Albuquerque, NM. The beautiful campus of NMT has again been selected as the site for the internship orientation. 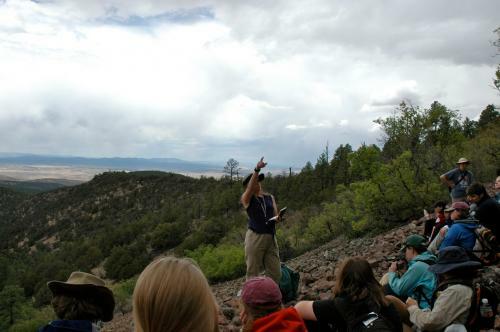 Its location provides excellent opportunities for field experiences along the Rio Grande Rift Valley while its superb research and computational facilities provide excellent classroom and lab spaces for academic work. Additionally, the IRIS PASSCAL Instrument Center facility is hosted on the NMT campus providing convenient access to the latest in seismic technology. During the week, visiting seismologists from across the IRIS community donate their expertise to lead in-depth laboratory exercises and artful lectures/discussion sessions. Local faculty from the NMT Department of Earth and Environmental Science as well as IRIS community members volunteer to lead a variety of field excursions to collect active source seismic data and explore the relationship to regional and local scale geologic structures and the tectonics of western North America. 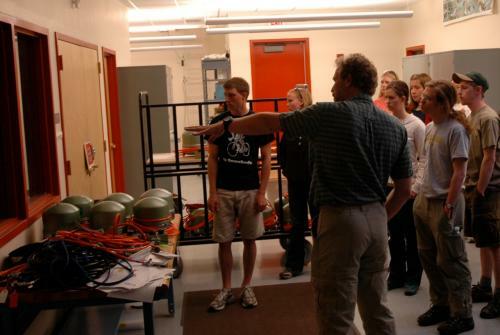 Classroom sessions introduce interns to a variety of topics including: history and theory of seismology, earthquakes and Earth structure, geophysical inverse theory, general reflection and refraction theory, seismological data collection, and seismic processing. Sessions are designed with a collaborative approach to encourage cohort building and peer learning and punctuated with mini-labs and demonstrations designed to get learners hands-on/minds-on with the content. 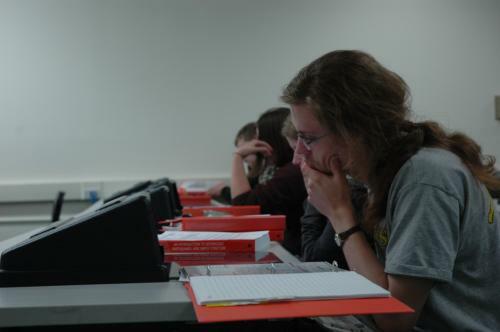 Skill sessions focused on refining basic competencies that may not have fully matured in undergraduate students. These include effective habits of independent workers, interacting with your host, and technical writing skills. A special emphasis is placed on training interns in the use and etiquette of online communication/collaboration technologies (e.g. on-discussion boards, blogs, Facebook groups and cyber-workshops) that will be the cohort's major method of communication between their respective internship sites. Throughout the week we try, as often as possible, to get interns "hands-on" with the content we are covering. Sometimes this means an introduction to the basics of the UNIX operating system as well as other computer programs students are likely to encounter during their summer research (e.g. MatLab, GMT and ProMax). Other times it means a trip to the field to learn to use research-grade field equipment that is identical to that used by IRIS researchers. 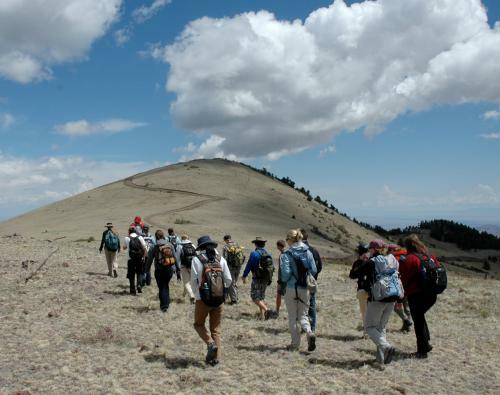 During these excursions we will collect active source seismic data using NMTs vibroseis/hammers and install broadband seismic stations in the New Mexico desert. hike down from Mt. Baldy to examine the geology of rift. The broad scientific content covered during the week, combined with a close association of professors, IRIS staff, and internship alumni fosters a sense of the broader seismological community and culture. This aspect of the orientation naturally leads to discussions of career and other long-range professional issues, timely for advanced undergraduates contemplating graduate school and longer-term life options. Such discussions are enhanced through formal sessions such as an exploration of graduate student life and strategies, and opportunities to fund graduate education. The formal agenda of the week concludes with a career panel featuring representatives (frequently program alumni) from industry, academia, and government labs, all eager to discuss various career options. 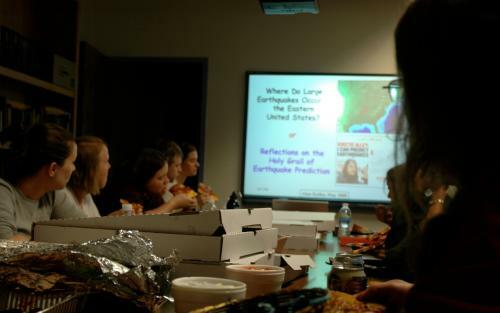 Evening seminars/discussions, generally held over pizza, explore hot topics with senior scientists from the IRIS community. Past topics have included earthquake prediction, living and working in the field, applying seismological technques to study climate change, and hazard assessments of the New Madrid Seismic Zone. While the agenda for the week is academically intensive and challenging, there are also lots of opportunities for fun. 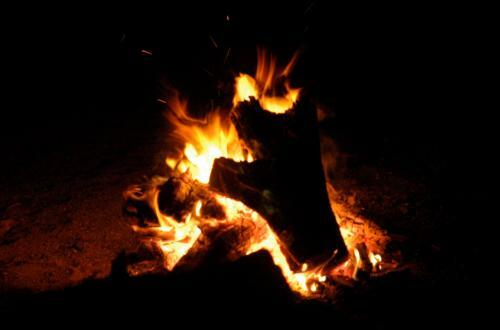 Organized opportunities include a welcome dinner, pool/game night, a trip into town for movies, and a closing bonfire featuring a local historian or other guest storyteller. Of course, there are also many other opportunities to get to know your fellow interns. This includes both informal opportunities during free time and formal ice breakers, energizers, and other experiential exercises built into the agenda and lead by IRIS staff.